The name just about says it all with this one. 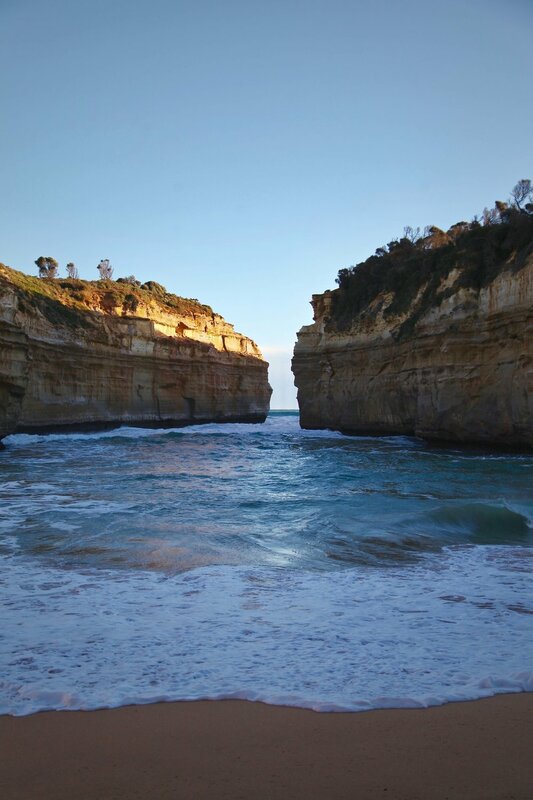 The Great Ocean Road runs 240km along Victoria’s southern coastline, beginning in Torquay and ending in Allansford. It makes for a great day trip out of Melbourne. 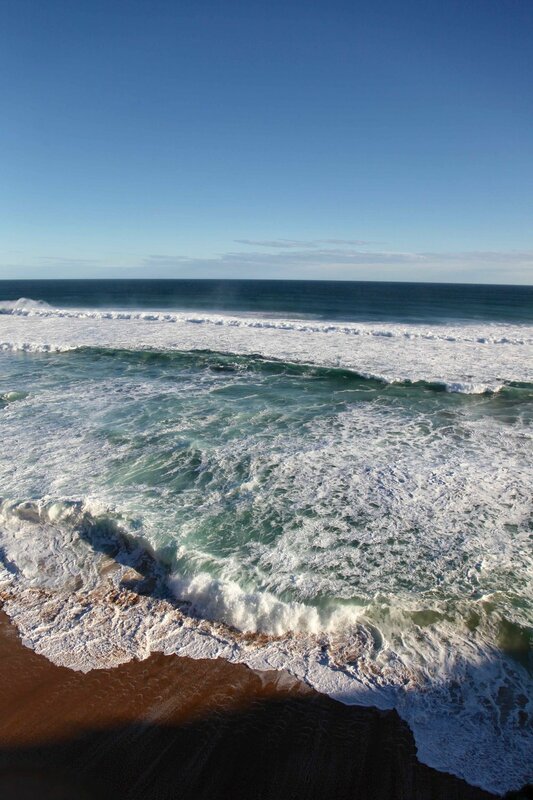 The Great Ocean Road: be sure to leave plenty of time to pull up and enjoy the beaches. My favourite spot on the Great Ocean Road: Loch Ard Gorge. My most recent trip to the Great Ocean Road was one mid-winter weekend while spending a couple of months in Melbourne for work. After a few weeks battling a flu, I was finally well enough to venture out of the city…. and where better to recover than on the coast? All that fresh ocean air really does the trick. I got lucky with the weather too: a bright blue sky and plenty of sunshine, which at day’s end gave way to a magical golden hour and some pretty pastel pinks as the sun set over the sea. 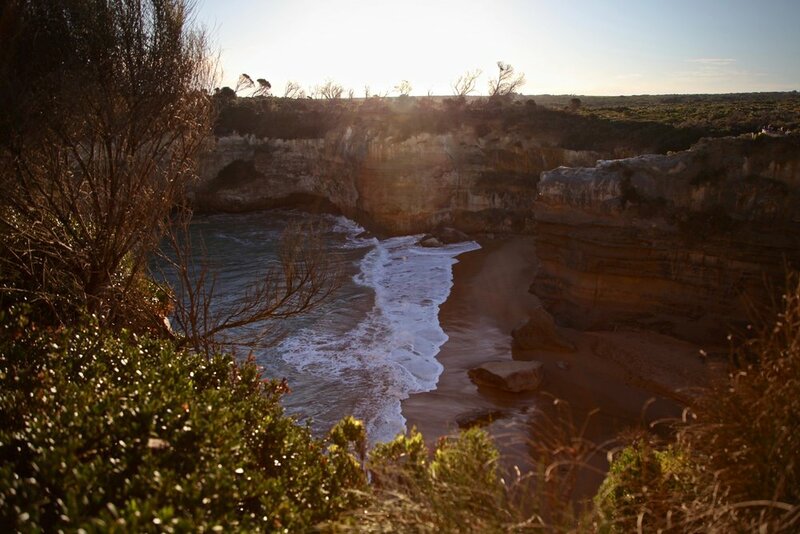 The Great Ocean Road runs along Victoria’s southern coastline. 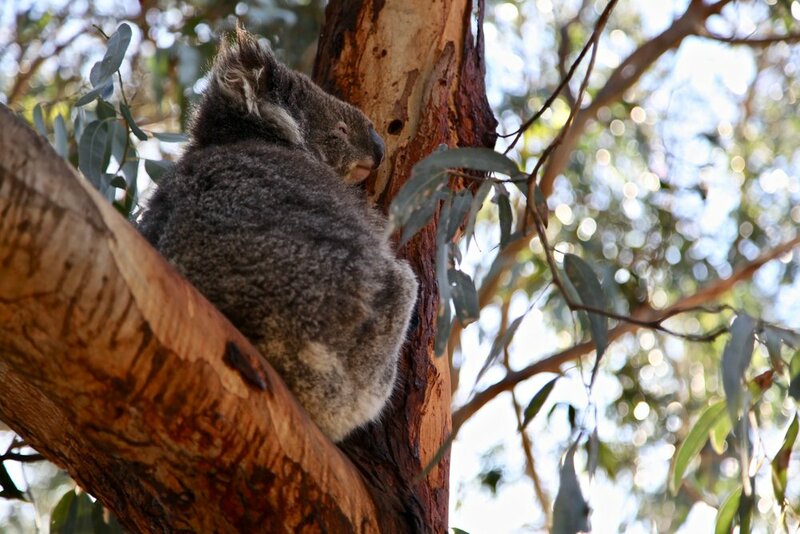 Stop in for lunch and some koala spotting at Kafe Koala in Kennett River. Park up for golden hour and sunset at Loch Ard Gorge. 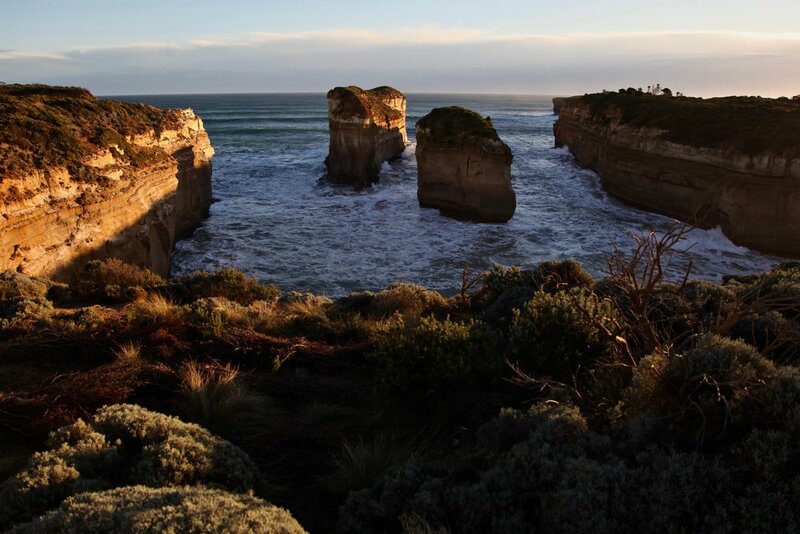 It’s just a few minutes drive from what is probably the most popular spot on Great Ocean Road, the 12 Apostles. Loch Ard Gorge in Port Campbell National Park on the Great Ocean Road. Golden hour at Loch Ard Gorge on the Great Ocean Road in Victoria. Magic golden hour light at Loch Ard Gorge on the Great Ocean Road. People come from all over the world to drive this stretch of road that offers sweeping views of the Southern Ocean (and I named it one of my unmissable Australian drives) — do it as a day out of Melbourne, or hire a van and spend a week meandering along the Victorian coastline — however you travel the Great Ocean Road, you’re sure to have a cracking good time. 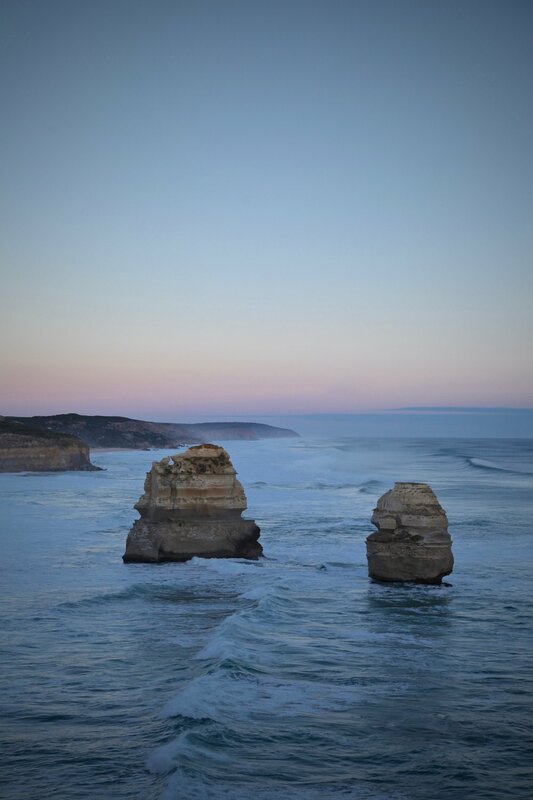 Pastel sunset over the southern coastline on the Great Ocean Road.